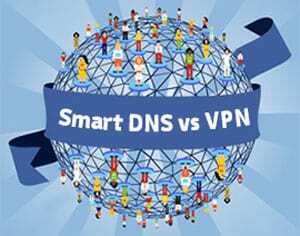 What is a Smart DNS Proxy and is it better than a VPN? What is a Smart DNS service and how does it work? In this day and age, everything you do online can very easily be seen by anyone and they can get a lot of information about you without even letting you know or having your consent. Before we get to what it is and how it works, let’s see why it’s needed in the first place. Any device that is capable of browsing the internet comes with its own unique “name” called an IP address. Corporations and website actually use your device’s IP address to find out where you actually live. So they can tell your country and area with just that one series of numbers. Whenever websites want to restrict or block a certain type of content in a specific region, they use your IP to do it. You might have come across a video or two while browsing YouTube which said “The uploader has not made this video available in your country”, that was also done by looking up your IP address. This is a real pain, especially for anyone from New Zealand as a lot of good content is locked away from us this way. If you are into watching good TV shows and movies and as quickly as humanly possible like me, then you will understand the struggle as most of the channels which have good quantity and quality of them are not available for us. For example, the US Netflix library is incomparably larger than what we have access. Then there is HBO Go which is the streaming service of HBO which has all the best HBO shows streaming first and foremost like Game of Thrones, Westworld, and many others. I really don’t have to explain how good HBO shows are, a simple look at their library will answer all your questions. Then we have Hulu Plus, which is also not available to us and they have some of the best sitcoms and animated series ever to air on any channel. Take a look at their website and you will understand what I’m talking about. A smart DNS will allow you to access all of this content that is restricted in your region. They do so by providing your computer another IP address, one of their own, and this IP is located inside the region in which the content is not blocked, essentially you will be able to have it all. Quite simple. 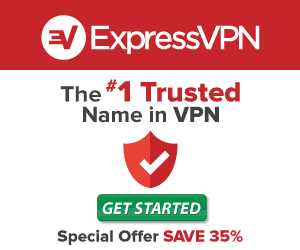 It provides the same main function as a VPN service provider at almost half the cost. Their main function is to allow you access to content with region restrictions, and both do that differently, but a DNS proxy is less complicated and just requires a few changes in its settings to work. It also costs much less than a VPN service provider. Faster! Speed is not reduced in any way. VPN’s have limits of 2-6 devices that can be used to simultaneously. Smart DNS Netflix will allow you to reach the Netflix of any region you wish to see. Perhaps the best Smart DNS provider available in the market today is Unlocator. Doesn’t needs a software to be installed to use its services. Just some configuration in your devices and smart DNS router and you’re good to go. 219 different channels supported as of yet, but the number is sure to grow in the future. Unlimited devices can simultaneously be used with one account. Although a Smart DNS proxy is good for viewing restricted content, you have to keep in mind that unlike VPN providers, they don’t provide any protection for your data or protect your identity. Meaning if someone tried to track down your location or intercept the data coming and going from your device, they will be able to do so with relative ease. Whereas a VPN will have some sort of encryption in place (usually 256-bit as per the industry standard) to stop that from happening. But they are slower than a DNS proxy and cost more, so it just depends on your needs. If you need something to watch movies and shows you normally wouldn’t have access to, then Unlocator is your best choice.